Join us this Thursday, Dec. 17 at 6:00 p.m. at St. Sava Church in Merrillville, Indiana for our weekly Akathist prayers (Click here to learn more about the Akathist prayer services at St. Sava Church). This week we offer praises for St. Nicholas’ continuing wonderworking miracles for all. 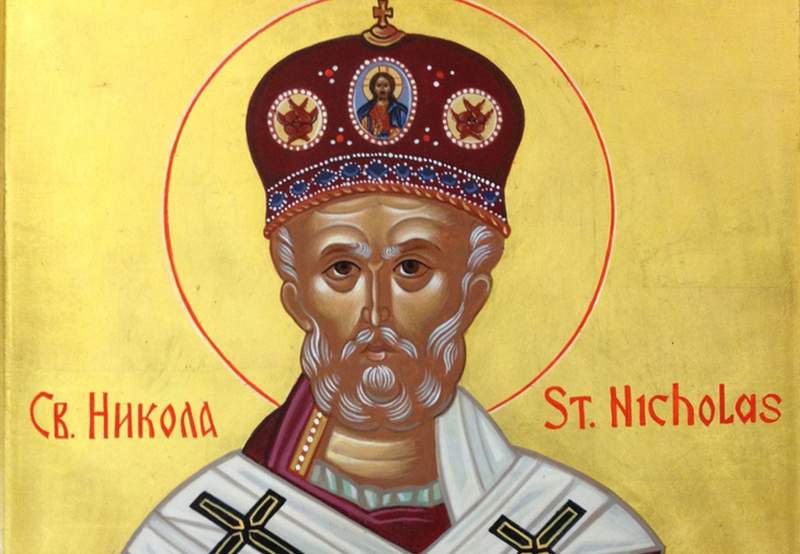 St. Nicholas devoted his life to Chirst and served as priest in Patara, Asia Minor. He was known throughout the region as wonderworker, and eventually he was elected as Archbishop of Myra. After the death of his Parents he distributed all the properties he inherited to the poor. On several occasions he took presents to the poor children secretly and to the homeless in his diocese. 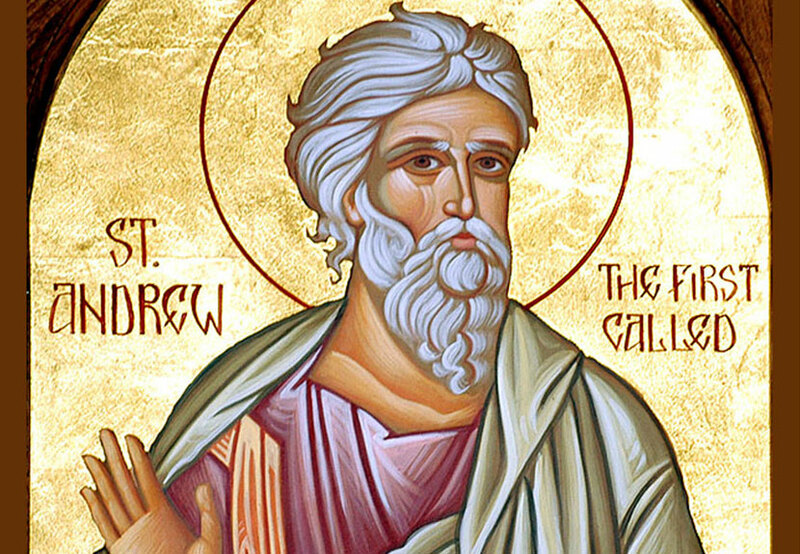 He was imprisoned during prosecution of Diocletian and Maximian Roman Emperors, and became known as a great teacher and instructor of Law of God. He was present at the First Ecumenical Council in 325. He was defender of the truth of God. People considered him a saint even during his lifetime. He would appear to them at great distance in both dreams and in reality to those who called upon him for help. He was celebrated in school, by armies, sailors, and became a patron intercessor for all of them before God Almighty. His legend as St. Nicholas became known both in East and West. In 1838 he was known by the Scandinavian countries as Santa Claus, including in the USA. In the West especially he is considered as the great patron Saint of children and the cheerful giver of gifts under the name Santa Claus. Interestingly, relics from the holy body of St. Nicholas the Wonderworker, Archbishop of Myra in Lycia (Died AD 343), arrived Wednesday, September 25, 2013 at about 6:30 p.m. at the IndianapolisInternationalAirport on their way to a special prayer service at the St. Nicholas Serbian Orthodox Church, 7855 Marsh Road, Indianapolis, Indiana. This very small portion of the relics of the holy body of St. Nicholas first arrived in the United States from Bari, Italy, and remained in Albuquerque, New Mexico. Now located at the St. Nicholas Serbian Orthodox Church in northwest Indianapolis, this portion of the relics will remain at the church indefinitely. Read more about the relics St. Nicholas Serbian Orthodox Church in Indianapolis. Read more about Akathist Prayer Services at St. Sava Serbian Orthodox Church in Merrillville.